Carved as a lovely stone pendant, the Natural Zebra-Stripe Resin Nautilus Silver Pendant makes you overwhelmed in the real manner. 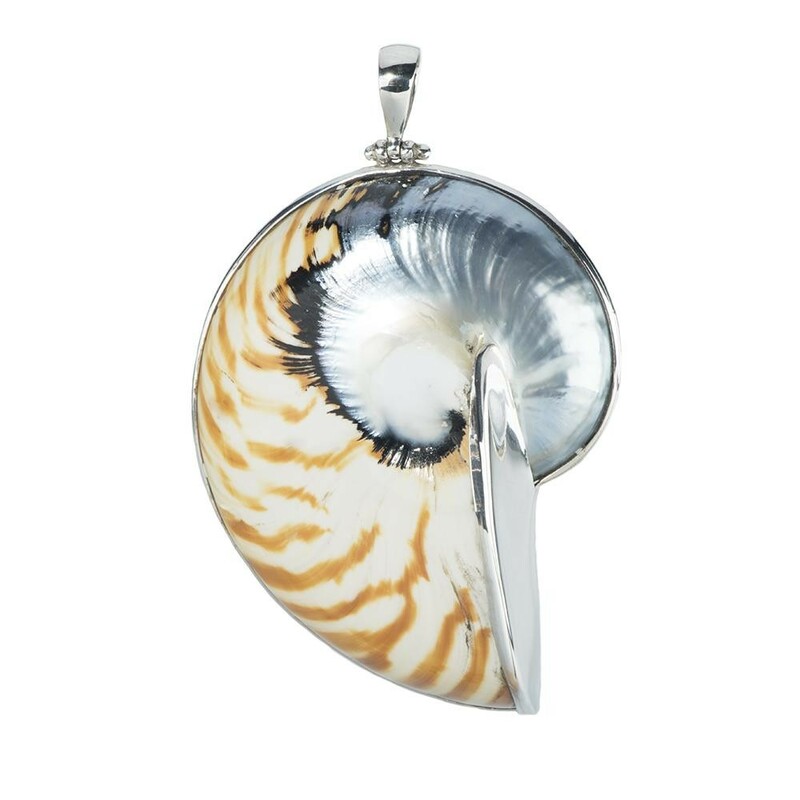 This silver jewelry captures your heart in multiple ways by either its color or the material.In mythology, the sacred Nautilus Shell symbolized the multiplicit... Read more. Carved as a lovely stone pendant, the Natural Zebra-Stripe Resin Nautilus Silver Pendant makes you overwhelmed in the real manner. This silver jewelry captures your heart in multiple ways by either its color or the material.In mythology, the sacred Nautilus Shell symbolized the multiplicity of creation and the internal elegance of nature. It measures L-57.8 mm x W-32.5 mm.